Imagine you’re a comic book-reading child of the 1960s and getting a little bored and/or uneasy about that. There’s a sameness to so many of the comics you’re reading. Some adults in your life express concern that you’re still reading those things. Being a smart kid, probably because you’ve read so many comic books, you have already figured out that your comic-book collection is not an attraction to those cute girls in your class. Imagine you discover the revolutionary comic books of Stan Lee and Jack Kirby and Steve Ditko, followed shortly thereafter by things like Jim Warren’s Creepy. Imagine those comic books set a creative fire under publishers like DC and, suddenly, their comic books are getting interesting again. The boredom and the doubts disappear in a blast of Kirby Krackle. Imagine, as you enter the 1970s and your kind of sort of adulthood, that comics get even more interesting. That you start communicating with other comics fans and even comics professionals. That a dream of working in comics starts becoming less a dream and more a goal. Imagine you do start working in the comics industry at a time when your beloved super-heroes are being joined by comic books starring martial artists, monsters and even a sarcastic duck. Imagine a time when it appears there are no limits to what can and does appear in comic books. Super-heroes may dominate from time to time, but they will never again be the whole show. Imagine your reading of comic books becomes more work-oriented and that you no longer have time to read every comic that crosses your path. You skip issues. You only glance at some titles. You figure you’ll get the time to read them when you retire. Imagine you work in the comics industry for over four decades. You work in all areas of the industry. You get married and raise a nice family. You realize you’re never going to retire because, even if you did retire, you love what you do too much to seriously consider not doing it. Imagine you suddenly realize you’re an adult. Trust me, that can be a horrifying experience. But, wait, there’s an upside to getting to be that old. It’s called your second childhood. Imagine you’ve had a couple of pretty good years. 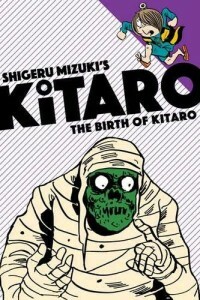 Imagine some of the comics you loved from the past or always wished you had time to read are now available in handsome hardcover omnibus editions that could crush your skull if they ever fell off a bookshelf. Imagine you found a seller of these wondrous volumes offering them at really terrific discounts. Imagine you convince yourself you’ve been a good boy and can buy a bunch of them without feeling guilty about it. Imagine you have a forklift to carry them to your office. You have just imagined my life. Indeed, if I had to describe it and taking into account the season, I would go so far as to say it’s a wonderful life. I know you saw what I did there. Over the past months, I’ve bought at least seven omnibus editions and a couple of Marvel’s epic collection softcovers. Most of them were purchased from InStockTrades [www.instocktrades.com] because they offer great prices, deliver outstanding service, and because they are the official sponsors of “Tony’s Tips” at Tales of Wonder. When I buy stuff from InStock, I help pay myself. When you buy from InStock, you get those same great deals and service, and you help to pay me. I’m pretty sure that it also makes both Jesus and Santa smile, but I would never be so presumptuous as to state that as a fact. Though it probably is. The reason I said “at least” is because I only counted the volumes I could see as I looked around my office. Think Tokyo after a visit from Godzilla. I once called Marvel’s Damage Control to clean up my office and they refused the job because a) they’re only human and b) they don’t actually exist. Except – This is between you and me, okay? – they really do. I had different reasons for buying all of these. In the case of Don McGregor’s Black Panther stories, I want to read them once again to explore the signature work of one of the most individual writers in comics history. 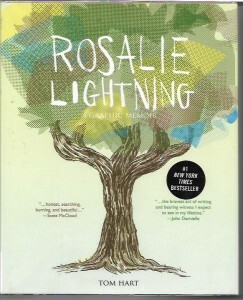 This book will go on my night stand to be read an issue a day. Not gonna rush through those comics. 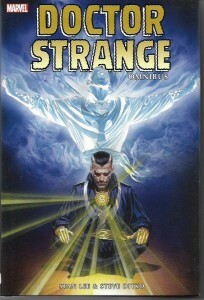 I would have bought the Doctor Strange Omnibus eventually because I want to get the first volumes of all the Marvel series I grew up with in the 1960s. 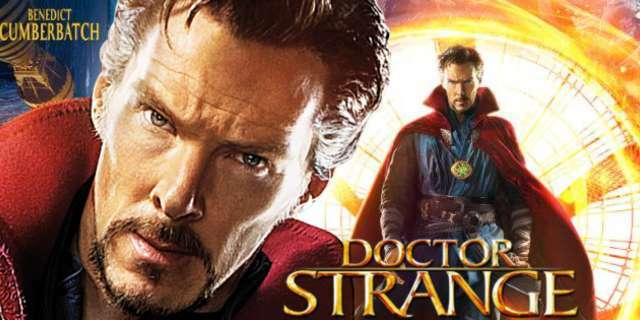 I got it sooner rather than later because that new Doctor Strange movie has restored my interest in the character. Throughout 2017, I’ll read as many other Doctor Strange collections as I can get my hands on. Gotham Central Omnibus was an impulse buy. I’ve read all the issues and enjoyed them up to the point when one of the characters turned into the Spectre. 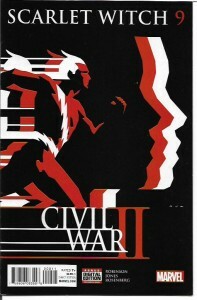 But the entire run is worth a second reading and that will likely follow the Black Panther book. Howard the Duck? Can you ever get enough Steve Gerber comic books? I don’t think so. As for the stories not written by my dear friend Steve, I either ignored or merely skimmed them when they first came out. This time around, I’ll read them. 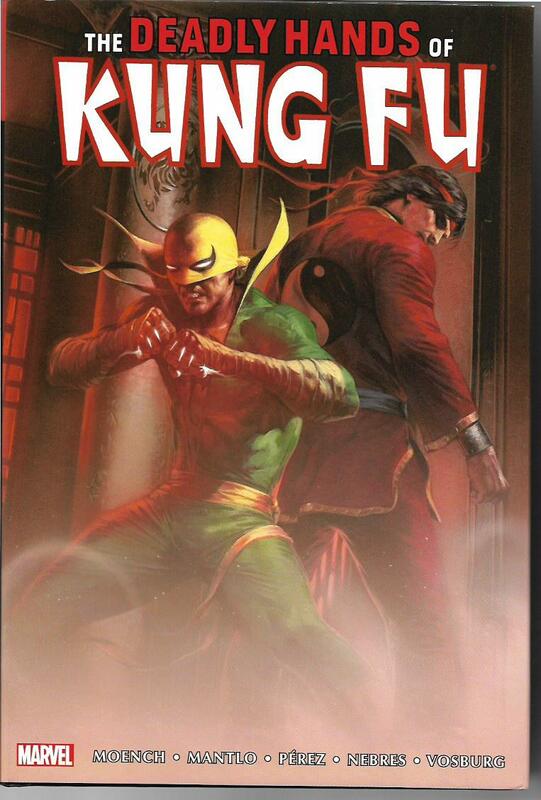 I bought the Iron Fist book for two reasons. It reprints the three issues I did with artist Arvell Jones, one of which introduced the magnificent Misty Knight. But I’ve often said Chris Claremont did the heavy lifting on the character and I look forward to re-reading his stories as well. 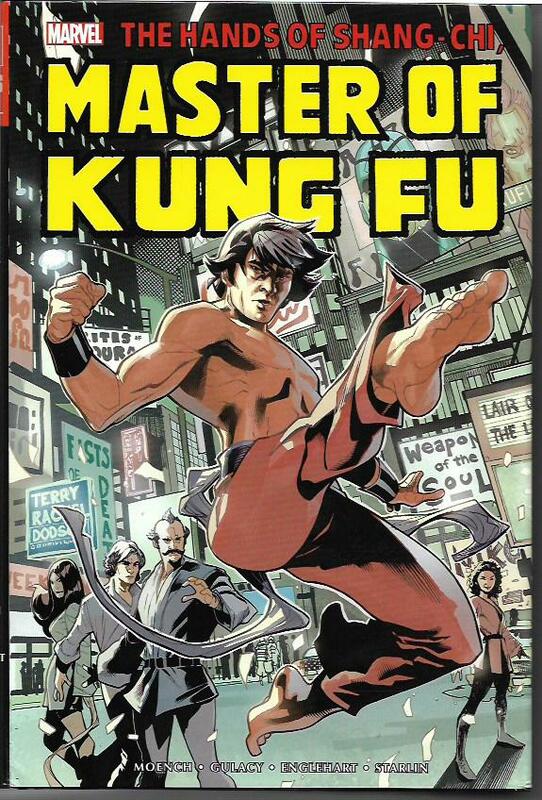 I enjoyed Shang-Chi in the 1970s, but I confess I didn’t read every issue of his book after I stepped down from being the editor of the black-and-white magazine The Deadly Hands of Kung Fu. 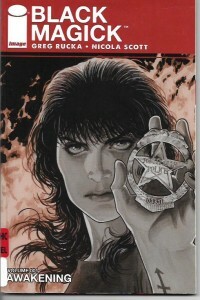 Doug Moench did outstanding work in the title and now I have the time to enjoy them leisurely. 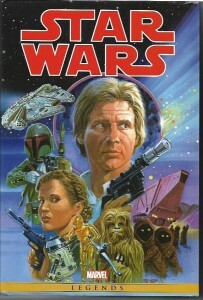 I bought the third volume of Star Wars: The Complete Marvel Years Omnibus because, having read and enjoyed the first two volumes with their fine stories by Roy Thomas, Archie Goodwin, David Micheline and Jo Duffy, I wanted to read the rest of the title’s run. I had borrowed those first two from my library, but, for some reason, it never got the third one. When I saw it at a good price, I went for it. The Force is strong within those comics. 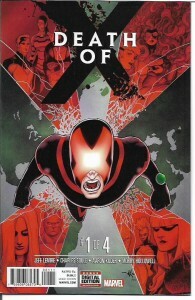 The Fantastic Four Omnibus, like the Doctor Strange Omnibus, is a must-have book for me. The Marvel comic books of the 1960s are why I’ve worked in comics industry for over four decades. 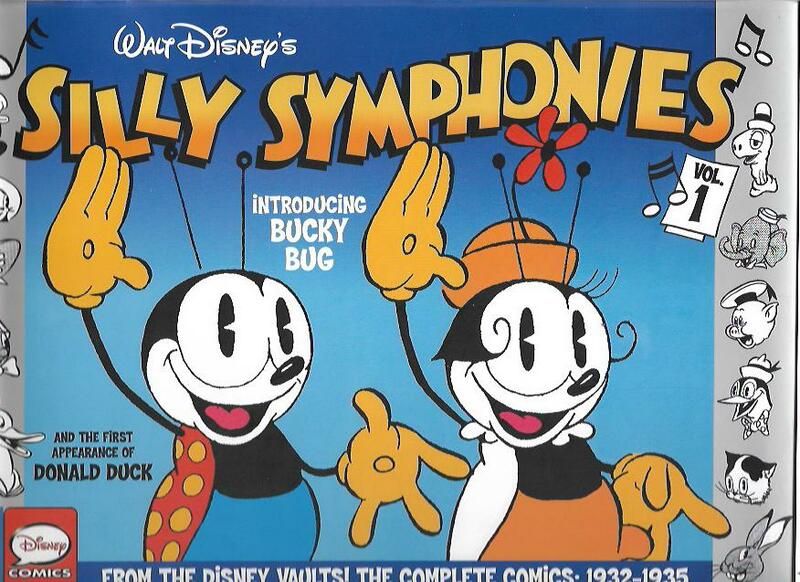 I’m looking forward to rediscovering those classics. 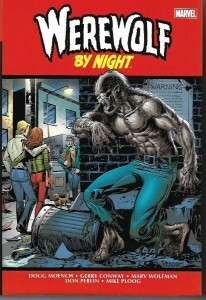 Werewolf by Night was one of those titles I mostly skimmed, despite all the great writers who contributed to the run: Roy Thomas, Gerry Conway, Len Wein, Marv Wolfman, Mike Friedrich and Doug Moench. It will be fun to read these stories from the start and take my time with them. These collections aren’t cheap, but they are definitely worthwhile. If your budget allows, any of them would make for an eye-opening gift for that comics fan you love. As for me, I plan on buying them as long as I can. It won’t become a problem until the pile is taller than I am. I think I still have about four feet to go.